This morning I was snuggled up with my little guy, flipping through my favourite un-cookbook, looking for something delicious and unique to take to a vegan potluck. When I flipped to this recipe he grabbed the page, began licking the picture and making slurping noises…well I took that as a sign and I’m glad that I did. This recipe is delicious. Whenever you are cooking for a crowd and don’t know how many dietary restrictions the guests will have, count on Emily’s recipes. They are raw, vegan, gluten-free, can be grain-free and adapted to nut-free. You’ve got your bases covered. Plus you can serve them to the biggest carnivores and people will be too busy talking about how delicious the dish is to notice that the only ingredients are whole, natural, and plant based. 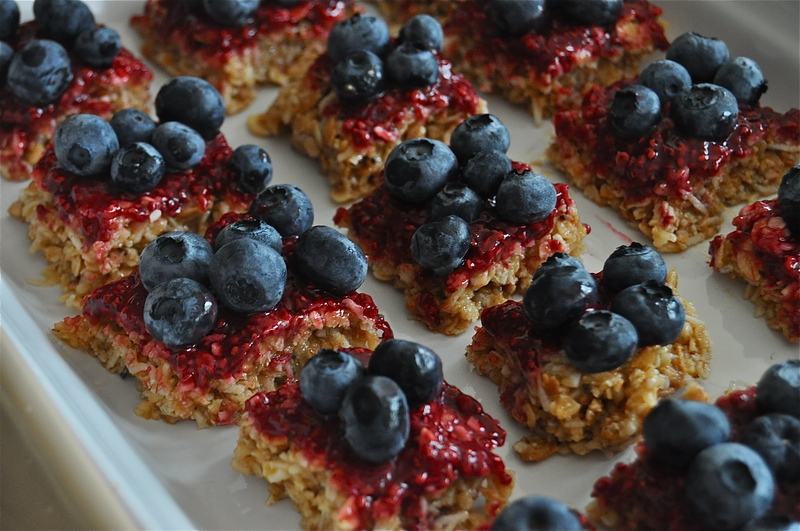 The only changes I made to her recipe is to double it and add a thin layer of my raspberry chia seed jam over the oats to up the gooeyness factor. Heaven. 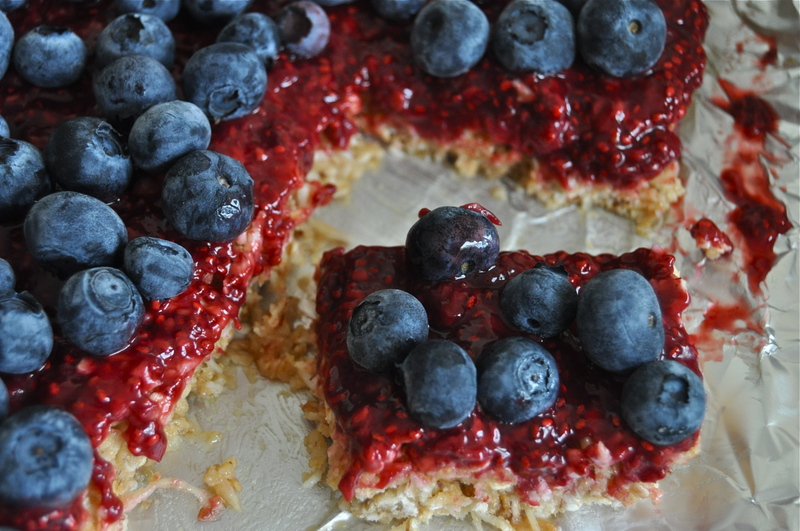 This entry was posted in dessert, raw, snack, vegan, vegetarian and tagged blueberry tart, dairy free, easy, food, gluten free, healthy, oats, raw, recipe, vegan. Bookmark the permalink.